1 Piece Flower Frog with Rubber Base. - Making your beloved flower or plants standing upright, seems like planted in a pot or soil. 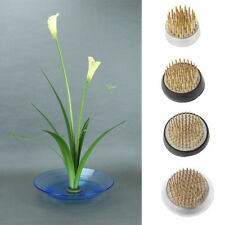 - Round shape with removable rubber base to prevent scratching vase or moving around on a wet surface. Product . 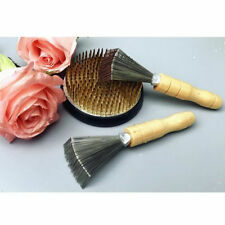 It will arrive in 1-2 weeks. The color is #52 Green. The piece is quite heavy. Nice item. Create your own floral arrangements, bouquets and more! Open the plastic flower tube cover, fill the plastic pipe with water, take a flower root through the tube cover, then put flowers into the plastic tube, sealing. Included:25 X Flower Tube. Material: plastic. VINTAGE CLEAR GLASS FLOWER FROG 19 HOLES FLORAL ARRANGEMENTS STEM HOLDER 1 1/2"